Heavy duty lawn and plant surfactant applicator and high flow wetting agent gun. Combining our heavy-duty surfactant applicator high-flow composite/stainless steel valve and nozzle produces the finest wetting agent gun available. 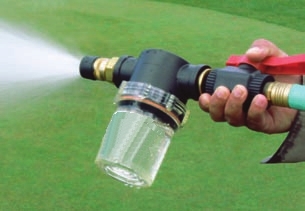 The Drench Applicator accepts all wetting agent tablets and provides powerful yet ultra-soft spray when watering or applying surfactants to tight hydrophobic soils. This means getting the job done faster. 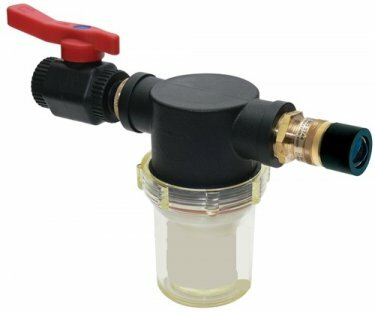 With ultra heavy-duty - brass fittings aircraft aluminum stainless steel and precision engineered glass-filled materials, the Drench Applicator nozzle delivers large droplets in an outstanding fan pattern. The pellet rotation (1 RPS) helps evenly dissolve/apply tablets.